Walmartone Associate Login and More. Though we focus on employee portals guides for portals like WalmartOne, ACES ETM, LiteBlue and MyTHDHR, we now also offer help for popular consumer websites such as Yahoo Mail, Gmail, Hotmail, Netflix, Amazon and many more. Use the navigation menu at the very top of the page to find the website that you require help for. We offer free solutions and tutorials for problems like login troubleshooting, password resets, account setup and locating your work schedule. One of the employee portals that we get most requests about, is WalmartOne. If you are here for help with accessing this website, then read on below. If you are a new Walmart Associate and are having problems with logging in to your Walmart Associate account, then do not worry. 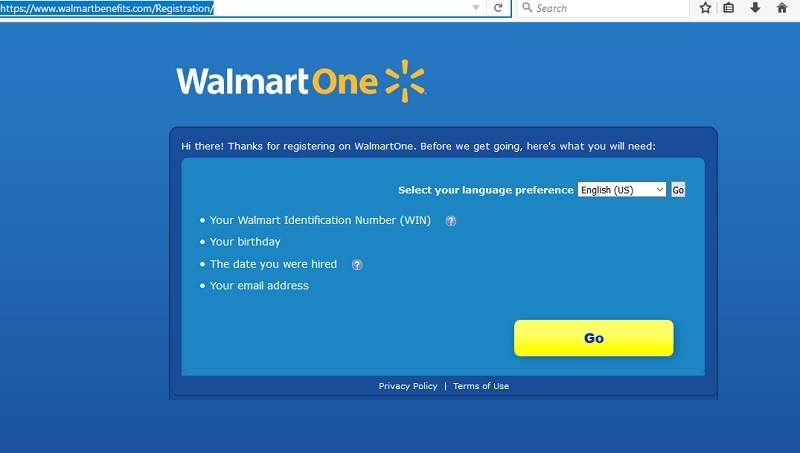 It probably comes down to a simple mistake such as up on the wrong WalmartOne login page or entering the wrong Walmart User Id. 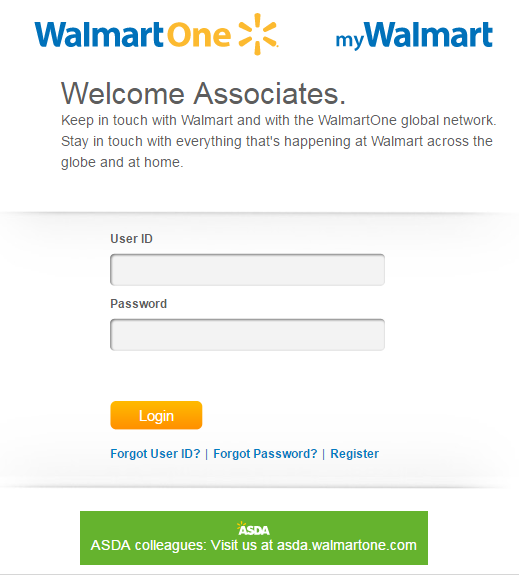 The official USA WalmartOne Associate Login page can be found here. An alternative Walmart login page, branded as MyWalmart, can be found here. The official UK ASDA WalmartOne login page can be found here. (Click on the Login link at the top right hand corner of the ASDA page). You must enter your Walmart Associate User ID and Password to login. The Walmart Associate login page should look like this screenshot. Click on the login button at the top right hand corner of the page. Enter your Walmart Associate Username and password into the boxes and click on ‘login’. New Walmart associates must register for the WalmartOne.com first in order to use it. Click on ‘Register’ on the login page and follow the instructions. You will need to provide your Walmart Identification Number (WIN) (Ask your manager if you do not know it), your email address, the Day you were hired and your Birth Day. In the registration process, you can create your ne WalmartOne user ID as well as valid password. This is how the WalmarOne Registration page looks. Why can’t I log in to Walmart Wire from Home? For security reasons, Walmart Associates cannot log in to the Walmart Wire In-Store application from home. You will have to log in to WalmartOne instead, if your at home and want to check your work schedule, Walmart paystubs, or catch up on company news. The phone number for Walmart Associates to call for assistance is: (800) 421-1362. Why can’t I get on walmartone? how can a retired or terminated employee able to log on? How do I find my weekly schedule? I’m sick today, Monday April 1, 2019. My shift was for 3:30 pm to 9 pm in pharmacy at store #1769. I talked to my supervisor to report that I would not be in today.